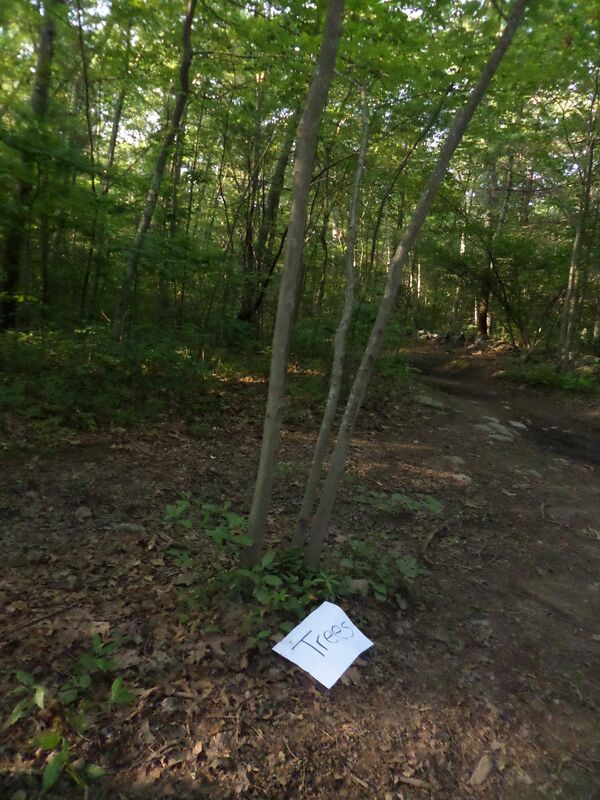 Could this possibly be… a tree? 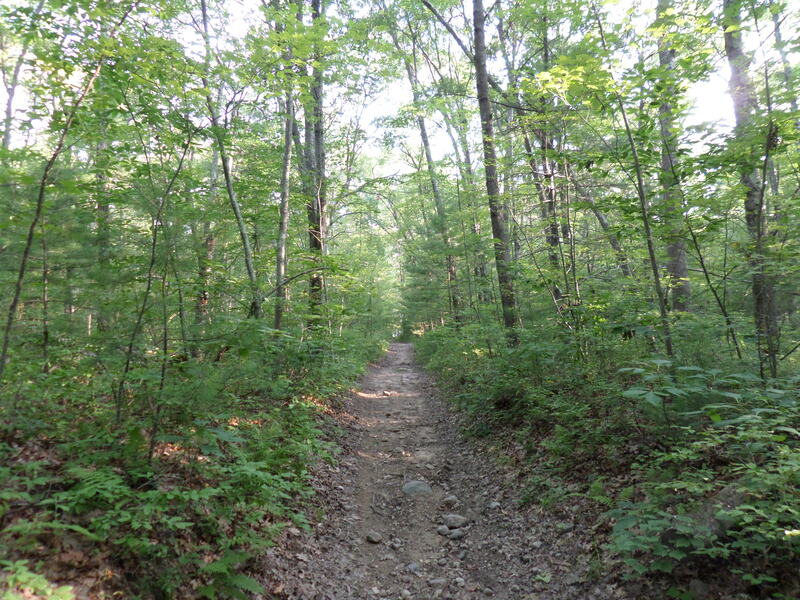 We ventured into the Franklin State Forest in the early morning hours to investigate a trail I’d heard connected the Hockomock YMCA in Franklin to the SNETT (Southern New England Trunkline Trail). The trail was easy to find, right off the road to the water tower at the back of the Hockomock YMCA property at Forge Hill in Franklin. Leashed dogs are permitted on this trail. There is a map near the trail head to help point travelers in the right direction of the SNETT, but we found few markers along the way that could help us decide on which fork to take. The path is rather rocky, with lots of roots, and somewhat muddy because of regular dirt-bike traffic in the area. There are stone walls throughout this section of the Franklin State Forest. We did encounter a sign as we entered the woods that made us smile. Perhaps it was created as a destination for YMCA campers to seek out in a scavenger hunt. I’m hard put to figure out what other purpose this identifier in the woods might serve. Regardless, it brightened our day. And “like” “Easy Walks in Massachusetts” on Facebook to get updates on all the trails we’re visiting as we work on documenting even more trails that are Easy Walks.